The Nazis gained power via the ballot box, and some political dealings. But once in power Hitler quickly consolidated his control over the German state. New laws were introduced giving him dictatorial power, their passage made easier by the Reichstag fire in February. From then on, Nazi Germany became a centrally controlled totalitarian regime. 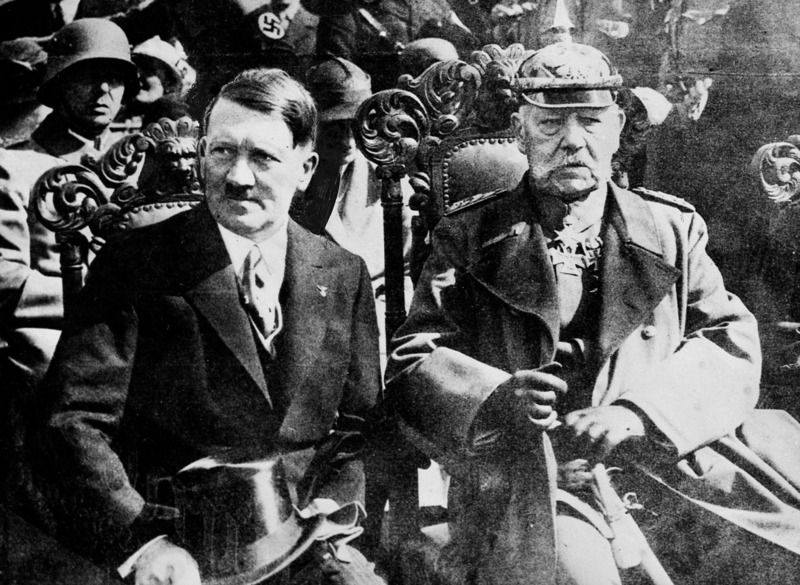 Chancellor Hitler and President Hindenburg. The latter had once vowed he would never make Hitler chancellor. “The hour of the birth of the Third Reich”; Papen and Hitler agree on a coalition with Hitler as its head. Papen has pledged the support of the Rhineland industrialists in exchange for the vice-chancellorship, which Hitler has readily agreed to. Chancellor Schleicher fails to win over breakaway groups from the Nazis, such as that headed by Strasser, and is unable to keep control over the Reichstag parties. He resigns and President Hindenburg is persuaded to give Hitler the chancellorship, which is celebrated by Nazi parades in Berlin. 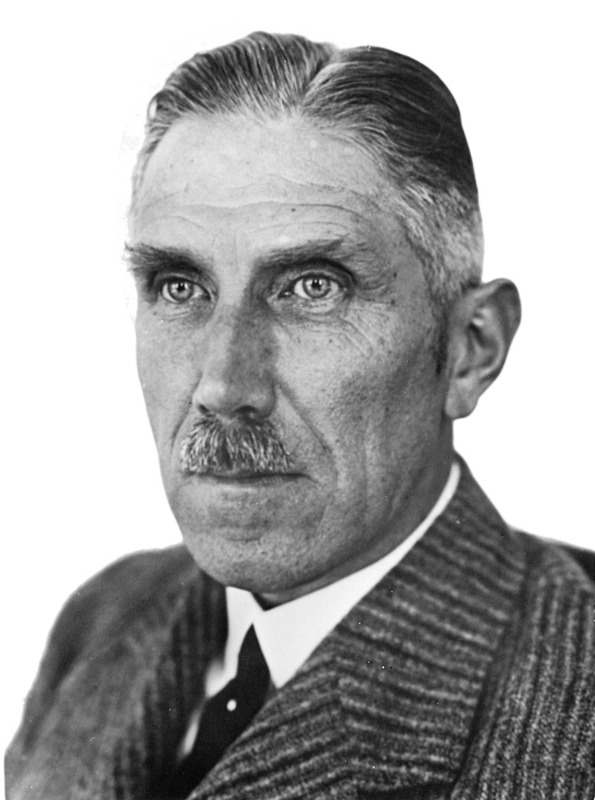 Ex-chancellor Franz von Papen, who persuaded Hindenburg to make Hitler chancellor in January 1933. Hans E. Maikowski proudly heads his Sturm (Storm - an SA unit) during a parade at the Brandenburg Gate on this historic day. It isn’t until the evening that Sturm 33 finally makes its way back to Charlottenburg. En route it is attacked by a mob of communists. During the bloody street-fighting Maikowski is severely wounded and taken to hospital. At midnight he dies, becoming the first martyr to the cause after the assumption of power by the NSDAP. Maikowski is given a lavish funeral, which takes place at the Charlottenburg Cathedral, and is buried in the Invaliden Friedhof.